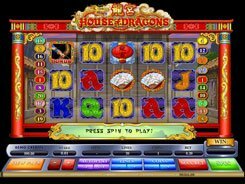 House of Dragons from Microgaming brings to life an enigmatic Chinese culture, full of mysteries and rich in traditions. 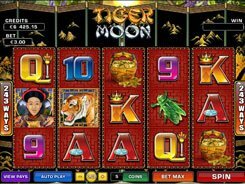 The slot is playable over five reels superimposed on a Chinese village scenery and framed by authentic Oriental patterns and motifs. 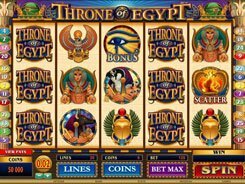 There are three settings configured before a spin: a coin value ($0.01–$0.5), the number of lines to wager on (1–20), and the number of coins per line (1–10). 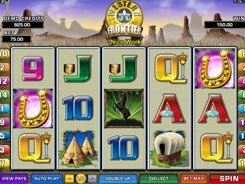 By adjusting these values, you can bet anywhere between $0.01 and $100 per spin. On the reels, you will see a Chinese lantern, a Chinese coin with a square hole in the center, a gold dragon, and an ancient paper fan. Besides, traditional playing card symbols are used. The game features two different wild symbols, both acting as a substitute for regular symbols, yet one of them doubles the wins when substituting. 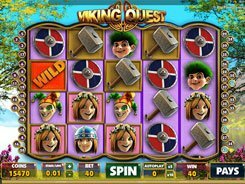 A wild depicted by the Gold Dragon grants the slot’s first jackpot worth x10,000 times a bet, for five of a kind. The other wild (the Wiseman) yields the second-largest jackpot of x5000. 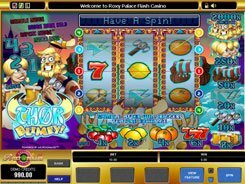 Alongside with the mentioned goodies, the slot features scatters, free spins and a unique Archery Game bonus feature where you will have to shoot targets and scoop bonus prizes.